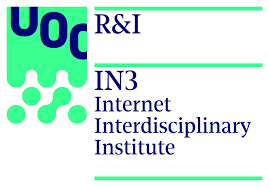 The Dimmons research team is part of a consortium of expert partners working for solutions to an emerging problem in our increasingly digitalized societies: That of data sovereignity. As more technology is developed and hence new ways of capturing human generated data are available, the power gained by extracting knowledge from these enourmous datasets seems to be concentrating more and more in the hands of few corporate players. The aim of the EU eunded DECODE project is to break this data extractivist paradigm by proposing instead a new vision of a Data Commons. We will show how blockchain-based technologies can enable users to retain control of their data and that of the devices they use, while making collaborative economy models truly peer-to-peer. The Data Commons model develops a new political, economic, and legal regime that would recognize social and communal rights to data, so that cities, communities, neighborhoods can claim some sets of data as their own and build their own services- local Ubers and Airbnbs – using that data. Develop a distributed, privacy-aware, and trusted architecture for decentralised data governance and identity management. The platform adopts Attribute Based Cryptography (ABC) to sensitive information, ideas from Certificate Transparency for identification, and Blockchain Technology for federated data access, distribution and resilience. Prevent the concentration of power in the hands of a few platform operators. Ensure that people are in full control of their data and identity with adaptive, smart, context-dependent access rules running on a cryptographic ledger that define conditions for the access and use of data (and legal/contractual obligations). Preserve the digital sovereignty of European (and worldwide) citizens. Validate the platform with use cases providing public value+. Test and scale in disruptive business models based on an ecosystem of open source decentralised applications, and data commons. In order to promote commons data platforms for digital sovereignty, first we need to investigate and articulate what characterise it, and to do so from a multidisciplinary perspective. And to reach that purpose, Dimmons tasks include to address the theories and debates around data-driven society and the sharing economy in order to provide an overall framework of commons oriented models, address the conceptualization and delimitation of commons based models in contrast to other non-commons oriented models, and the intersections between juridical/legal, economical, governance and public policy dimensions, as well as integrating and triangulating the analysis and results of the other tasks. From Dimmons we are defining for DECODE the theoretical framework and the conceptualization of commons oriented sharing economy that will provide guidelines for the development of this European project, and its legal and economic models. Fuster Morell, M. i Espelt, R. (2018). Platform Cooperativism. A dialogue between Emilia Romagna and Catalunya. IDP 2018, COLLABORATIVE ECONOMY Challenges & Opportunities. Barcelona, 21 June 2018. Fuster Morell, M. i Espelt, R. (2018). 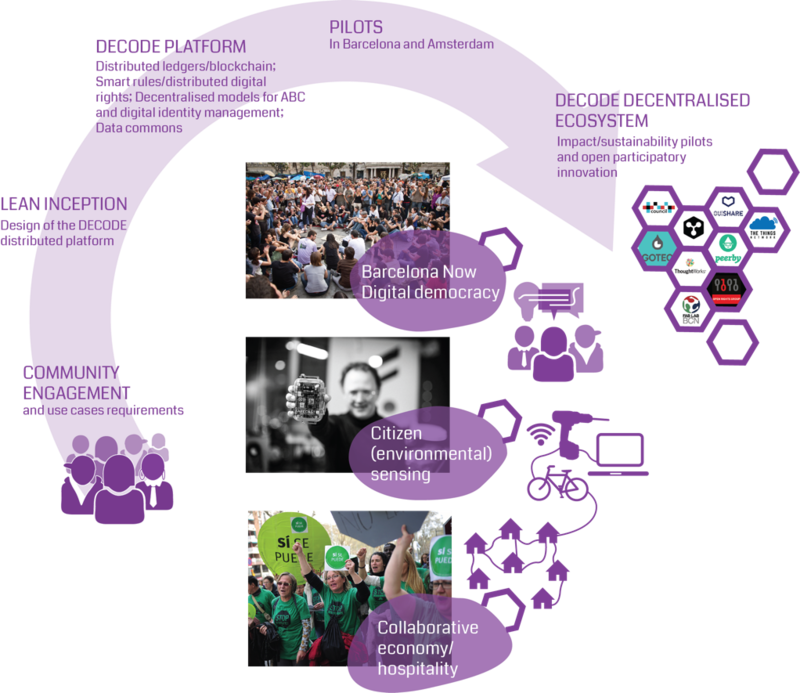 A Framework for Assessing Democratic Qualities in Collaborative Economy Platforms: Analysis of 10 Cases in Barcelona. Sharing Cities Shaping Cities symposium, 5 & 6 de March 2017. Milan: Politecnico. Cooperatives, Political Consumerism and Alternative Lifestyles. Lyon, 29 June – 1 July 2017. El cooperativisme de plataforma com a oportunitat d’economia col·laborativa. 30 May 2018. Barcelona: BizBarcelona. Fira Economia Solidaria de Catalunya, 19-20 October 2017. Barcelona: FESC. Què fa que una plataforma sigui procomú?. Procomuns 2017. 28 June 2017. Barcelona: Barcelona Activa. L’estat de l’economia col·laborativa procomú a Barcelona. Anàlisi de casos. 1 June 2017. Barcelona: BizBarcelona. Sharing Cities Summit. 17-19 May 2017. NY, USA. Economia col·laborativa del pro-comú. Economia Social i Solidària EMISE+. 19 February 2018. Barcelona: Coopolis. Collaborative economy and procommon. 29 November 2017. Barcelona: Institut Barcelona d’Estudis Internacionals. LaCo+R: Acció-recerca en el marc de l’economia col·laborativa procomú. 26 October 2017. Barcelona: La Comunificadora.